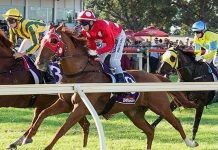 It’s time to talk about a betting option that deserves a lot more interest from everyday punters, because it’s easy to use and often beats fixed odds and best tote. In simple terms, you can think of Betfair SP as being very similar to the tote. All of the betting dollars go into a pool and the dividends for each runner are based on weight of money. The more backing a horse gets, the shorter it’s odds will be. That’s the easiest way of understanding Betfair SP, but in reality the final prices are actually calculated by using a complex algorithm which weighs many different factors. 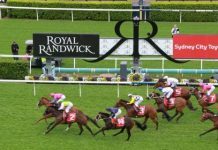 What goes on under the hood doesn’t really concern us because we just know it works, and has done for many years both in Australia and in the massive UK racing market. Betfair SP is a betting option that offers both convenience and consistently good odds. It suits punters who don’t have the skills or patience to try and time the market. Instead of taking the current odds or requesting a price in the hope of getting matched, you can place your bet and be confident you’ll be on at decent odds for a decent bet. What Is Betfair SP? How Are The Odds Determined? The basic principle of matching bets on the Exchange is maintained for SP bets; i.e. backers are matched against layers. In the case of Starting Price bets, Betfair are matching Exchange backers and SP backers (who have specified a stake) with Exchange layers and SP layers (who have specified a liability). Matching takes place in the very brief period between the event being suspended and it being turned in-play using a reconciliation process which determines the SP. This process considers SP bets that have been placed on each selection, taking into account any price limits that have been specified, and unmatched Exchange bets on that selection. The calculation determines the fairest price which will match the largest amount of money risked by backers and layers against each other. What Type Of Punter Should Use It? 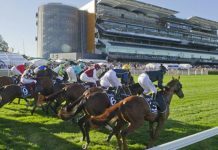 Many types of punters can use Betfair SP, but especially those who are cut off from Best Tote or fixed odds products from corporate bookmakers. 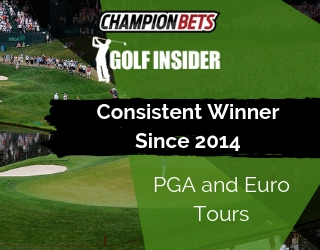 It also suits punters who like to bet in 100% markets (before commission of course). What Kind Of Money Does It Take To Move The Market? What Risk Am I Of Cannibalising My Price? Obviously this varies depending on the class of race, but for a metro thoroughbred meeting bets of up to $5000 shouldn’t impact the price unless the horse was well out of the market ie. 50/1 or more. As a general rule, it’s the perfect product for clients that bet up to $1000 stakes. What Are The Commission Rates By State? Does It Matter When You Bet? No. Just check the box to take SP prior to the commencement of the race. Is There A Price Range Where It Performs Better? 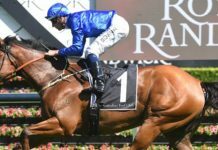 How/When To Place An SP Bet Including For Unmatched Bets At The Jump? Firstly, you need to have the ‘Betfair Starting Price’ box ticked within Settings. This will bring up a new column in the market view allowing you to Back or Lay at SP. Full SP Betting – you can place the full stake of your wager down on the SP by clicking on the Back or Lay SP button. Unmatched SP Betting – you can take a price at the Back or Lay odds and if your bet is partially matched, you are prompted to ‘Take SP’ for the unmatched amount. By clicking ‘Take SP’ and updating your bet, when the event turns in-play, any unmatched amounts will automatically be matched at the SP price. This also applies to bets that may be fully unmatched when the event turns in-play – the SP provides convenience ensuring you get your stake matched. In your ‘settings’ top right you can chose to add ‘BSP projection’ which uses the same logic to predict the likely BSP. Obviously the closer to the event the more accurate it’s likely to be. If you think the horse will be unfancied by the market, it could be a better option to take BSP for the full amount. It all depends on which way you think the market will go. 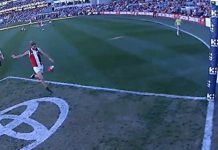 How Accurate Is Betfair SP? 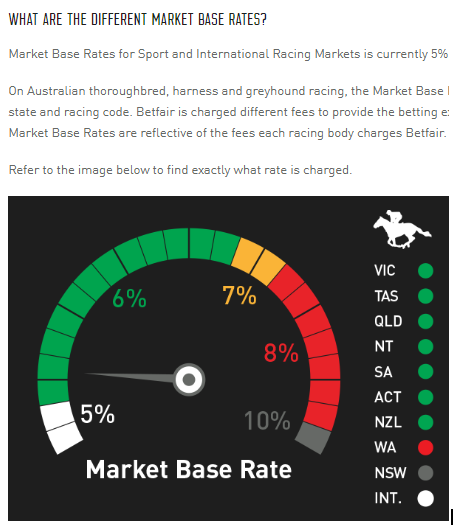 Betfair SP is the closest measure of true probability for AUS thoroughbreds as you can see by the graph below. It only deviates when horses are ~ $1.20 or less where the small sample size of those runners could open up to variance. Again, if you think the horse will be unfancied by the market, it could be a better option to take BSP for the full amount. It all depends on which way you think the market will go, so the benefit of Betfair is the flexibility of betting into and out of situations. 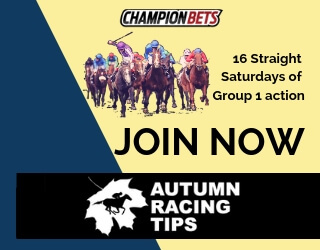 When to bet should vary from race to race but BSP is a great tool for the punter who can’t be watching the exchange all day to often gain better odds than a best tote option. It’s a great ‘set and forget’ backing style of product. For more information here’s a link to the Betfair Starting Price FAQs.